What is a DISH Joey? | How Many Joeys per Hopper? What is a DISH Joey? The Joey, Wireless Joey, Super Joey, Joey 3.0 and 4K Joey are all DISH receivers that connect TVs throughout your home to your Hopper. Connect a Joey to each TV in your house, no matter where it might be. 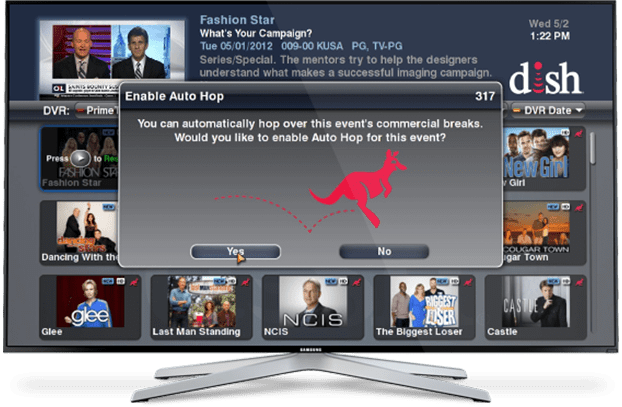 Then, sync your Joeys with your Hopper to watch your TV package and enjoy all the features of the Hopper DVR throughout your home. Is there a wireless Joey? Yes! When you add a Joey to your whole home entertainment system, you can choose from wired or wireless versions. The Wireless Joey is perfect if you don’t want to worry about hiding extra cables or would like to move your TV throughout your house. You’ll always have access to the channels, stored programming and Hopper features you love with a Wireless Joey. This option is perfect for rooms where you don’t always want a TV, or even a deck or patio! How Does the DISH Joey Work? 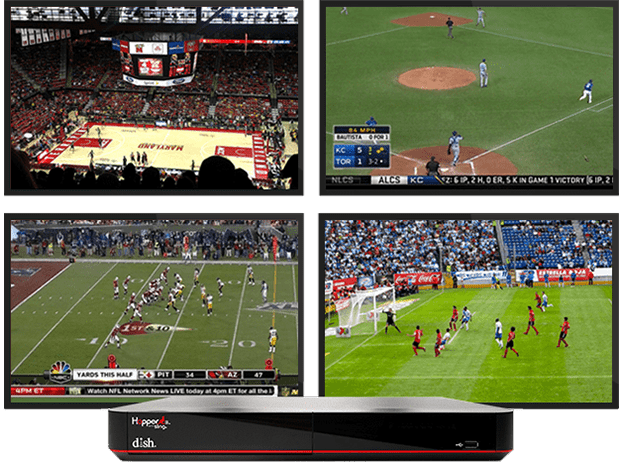 The Hopper DVR serves as your home’s primary DISH receiver. 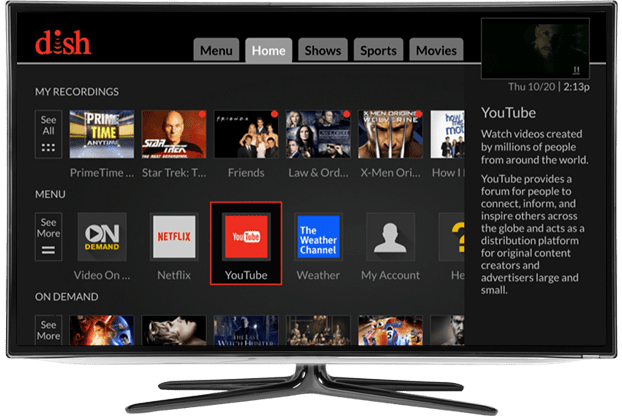 Your channel package, free channel previews, DVR capabilities, and On Demand shows and movies are all available through your Hopper. However, the Hopper is only connected to one TV in your home. Want whole home entertainment? You can add Joeys to each TV in your home, whether they’re in the kitchen, basement, bedroom or even outside. These Joeys sync with your Hopper to give your connected TVs access to all of the Hopper’s features. How Many Joeys per Hopper? Up to 3 Joeys can be supported by a single Hopper or Hopper with Sling. You can add more TVs to your whole home entertainment system by adding a second Hopper to your home. You’ll also gain twice the tuners and hard drive space for even more recording. How Many Joeys Can a Hopper 3 Support? 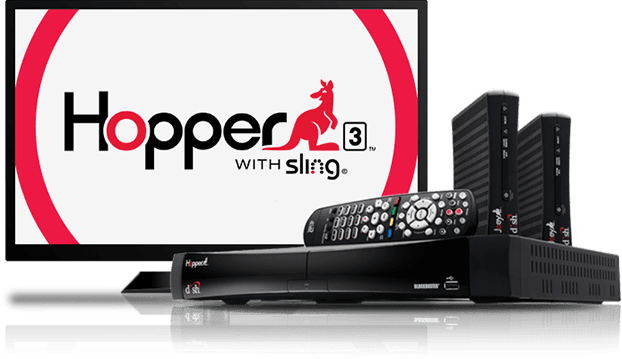 With the Hopper 3, you can watch TV on 6 Joeys throughout your home. That means watching on a total of 7 TVs with a single Hopper 3. Each of the 6 TVs has access to all of the features of the Hopper 3. How Many Wireless Joeys Per Hopper? Just like the Joey, 4K Joey, Joey 3.0 and Super Joey, you can add 7 TVs to your whole home entertainment system with the Hopper 3 using Wireless Joeys. The Hopper and Hopper with Sling will power 3 Wireless Joeys, for a total of 4 TVs throughout your home. When you add Wireless Joeys, you add flexibility to your TV package with the ability to use TVs throughout your home without the limitations of coax cables. What Does the DISH Joey Cost? The Joey, Wireless Joey, Joey 3.0 or 4K Joey you add to your home is only $5 per month with a 2-year price guarantee. The Super Joey, which adds an additional 2 tuners to your entertainment system, is $10 per month. 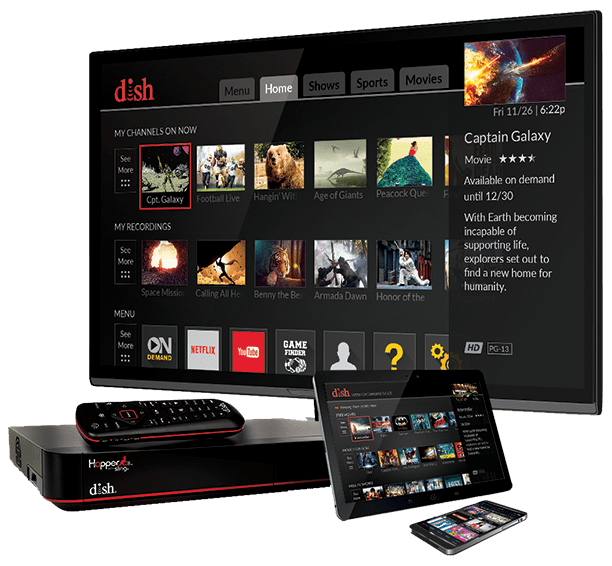 Creating whole home entertainment is affordable with the DISH Joey. Which Joey is right for you? The Wireless Joey gives you flexibility. If you love high-tech gadgets and crystal-clear images, consider the 4K Joey for your 4K TV. For the fastest speeds and best user experience, choose the Joey 3.0. Add the Super Joey and get two additional tuners for more watching and recording. What Is the Super Joey? For even more recording power, add the Super Joey to your whole home entertainment system. This local receiver has 2 tuners built in, letting you record two channels in addition to the networks your Hopper DVR is recording. The Super Joey shares hard drive space with the Hopper, sending back its recordings to the DVR so they can be enjoyed anywhere in your home or on-the-go. How Much Is the Super Joey? Each Super Joey you add to your home is $10 per month. The added recording capabilities of the receiver add value to your entertainment system, letting you get more out of your TV package. With a Super Joey, all the features of the Hopper are available anywhere in your home.